Over 77 families were able to provide safer transportation to their children thanks to the Free Car Seat and Safety Check event hosted by Montgomery County Hospital District and its community partners at A.V. “Bull” Sallas Park in New Caney. Safe Kids Greater Houston, Texas Children’s Hospital, Montgomery County Sheriff’s Office, Jim Clark Commissioner Precinct 4 and Tree of Life Lutheran Church all joined forces to educate parents and outfit 77 cars, some with multiple car seats. Parents or guardians watched a presentation given by MCHD Outreach Coordinator Ashton Herring that demonstrated the proper ways to face and fit infants and children in car seats based on height and age. Herring also showed stats and videos that detailed the consequences improper car seat installation and positioning. 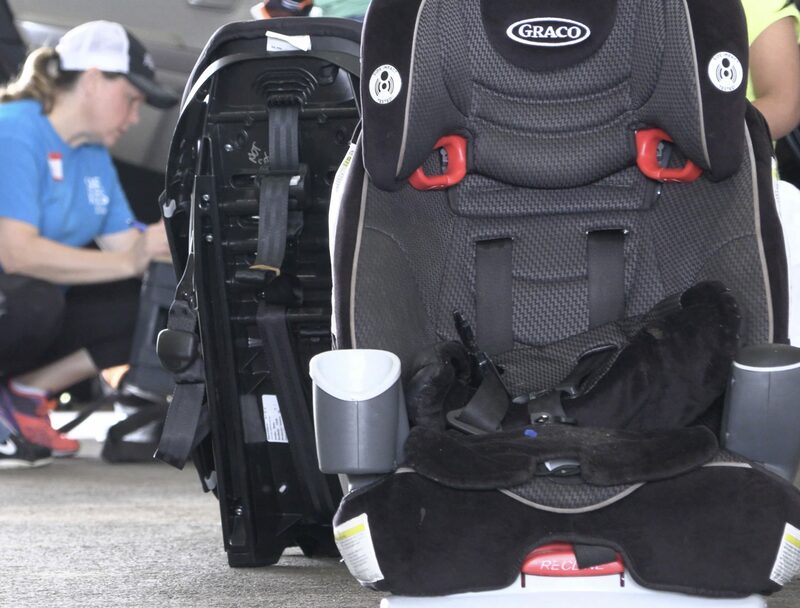 After this insightful and sobering presentation, parents who brought their children, were given car seats and assigned a certified car seat installation technician who spent the rest of the time properly fitting each child and installing each car seat in the back seat. Volunteers worked one-on-one with parents, looking at car manuals, climbing into cars, checking the slack and movement of safety belts on the car seats and following up by making sure the car seat restraints sat properly on each child to further reduce the probability of injury in the event of an accident.